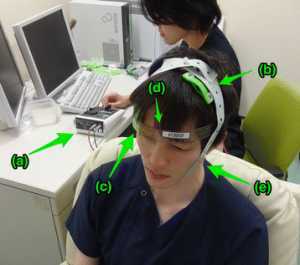 Response: In this study, our aim was to evaluate the safety and efficacy of transcranial direct current stimulation (tDCS) as an add-on treatment for patients with bipolar depression. There are a only few treatment alternatives for bipolar depression, which often have important side effects. Thus, we wanted to evaluate the efficacy of this non-pharmacological treatment. We found that active vs. sham tDCS effected greater response and remission for patients with bipolar depression. The frequency of adverse effects was similar, including treatment-emergent affective switches. However, higher rates of skin redness were observed in the active group. Response: In this preliminary study, tDCS showed efficacy and safety for treating bipolar depression. It can be a potential add-on treatment for these patients. Response: The sample size was small and therefore our results were preliminary. They should be replicated in a larger sample. Also, the trial only lasted 6 weeks, so future research could also explore the effects of tDCS in the maintenance phase of bipolar depression. This entry was posted in Author Interviews, Bipolar Disorder, Depression, JAMA and tagged bipolar, depression by Marie Benz MD FAAD. Bookmark the permalink.